Home » Theory » How Do I Beat A Serve And Volley Player In Tennis? You look forward to playing almost all your matches, but the next one is against that dreaded serve and volley player at your club you can’t figure out. He or she rushes the net, doesn’t give you time to set up on your shots, takes away your rhythm, and demoralizes you by ending the point with quick, decisive volleys. So how to beat the serve and volley player? We must use a strategy that involves making the first volley extremely difficult to hit, if not impossible. If we take away that first volley, then the rest of the point should be easy. Our strategy to accomplish this will be to rush them by returning from close into the baseline, choosing targets uncomfortable for them, and either lobbing or driving hard and low to kill their first volley. We often talk about how to use the serve and volley game to your advantage, but now we’re going to focus on how to beat it. 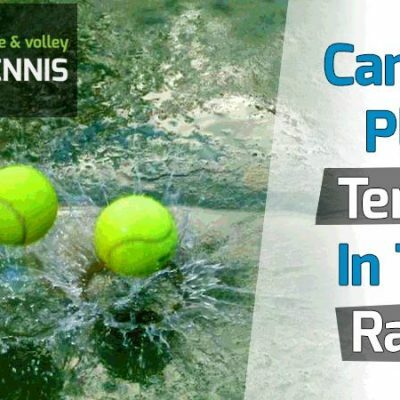 We’ll detail the various ways you can make the first volley extremely difficult for your opponent thereby giving you a great chance to win the match. By the end of this post, you’ll have a very clear idea of what’s needed to beat the serve and volley game. No longer will you cower at the thought of your opponent rushing the net like a mad bull. We’re going to give you proven techniques to stop that charging bull in his or her tracks! 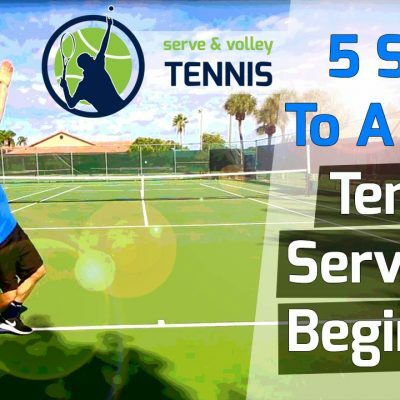 Before we talk about specific strategies to beat the serve and volley game, it’s key that you keep the following things in mind before you start your match. I think about them before every match and it allows me to dictate which strategies to employ. 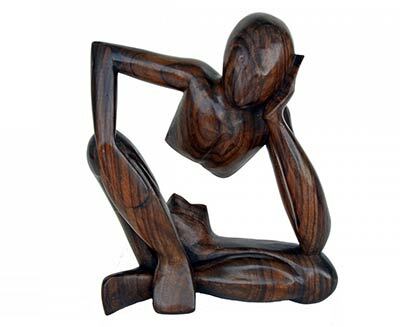 If you’re like me and want to give yourself the best chance of winning, any little edge cannot be overlooked. Here they are in no order of importance. Wind – The wind will affect all shots in tennis. How windy is it during the time of the match? Which way is the wind blowing? By using the wind against your opponent, you can gain a slight edge. For example, by lobbing with the wind, you can force your opponent into a difficult overhead. You would not want to lob against the wind, as it could hold up your ball to be easily smashed. If the wind is moving sideways, it may not be advisable to hit in that direction, as your ball might go out. Hitting into the wind (to the other sideline) would be more advantageous. Know Your Opponent – The more you know about your opposition, the better you’ll fare. The three main things I want to know are: how good is their forehand volley, their backhand volley and their overhead? Whichever stroke is the weakest, is the one we’ll key in on most of the time. If we hit to their weakness all the time, we would become too predictable, which is why we need to vary our attack slightly. 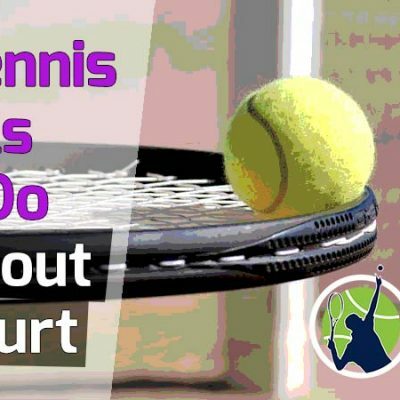 Court Surface – Are you playing on hardcourt, red clay or Har-Tru? How slow or fast are the courts? In general, the faster the court, the more it favors the serve and volley player. This is the reason we hardly ever see serve and volley play on red clay, which is the slowest surface. Hardcourt is the fastest with Har-Tru in between. If you’re a club player, you’ll probably never play on grass, which is extremely fast. If you’re playing on hardcourt, the serve and volley game can still be beat, so don’t worry about that. Lighting Conditions – If you’re playing a daytime match, the sun can be a factor. I would want to know the position of the sun so I can lob into the sun when it’s most difficult for my opponent to hit the overhead. As far as night conditions are concerned, they generally will have no effect on play except for older people with poor eyesight. Those players would benefit more playing daytime matches. Righty or Lefty? – Is your opponent a righty or lefty? This does matter. Most players (80-90%) will be righty. But playing a lefty can throw a monkey wrench into the equation. Everything is reversed. So where you set up for the return and where you place the return will be altered. The basic rule is to do the opposite of playing a righty. So if you planned on setting up to the right side of the court for a righty, now you’ll stand on the left side. If you play a few lefties, you’ll soon get used to the difference. Beating the serve and volley player will rely largely on your return game. Serve and volley players always approach the net after a good, first serve. Some players even approach the net on a second serve as well, depending on its quality. Your first line of defense, or offense, to beating the serve and volley player is your return game. When returning, we basically have the option of hitting with topspin or slice. Topspin is the easier shot for most people, but a good slice can work wonders on the return, especially on serves that “kick” or jump up high. This is especially true on the backhand side. Most players feel way more comfortable hitting a backhand slice at shoulder height or higher, rather than trying to deal with hitting a flat or topspin backhand at those heights. The slice can be very effective against the serve and volley game, but it must have pace and be relatively low over the net. A slice that floats high or does not have pace will be eaten up for breakfast by any skilled volley player. 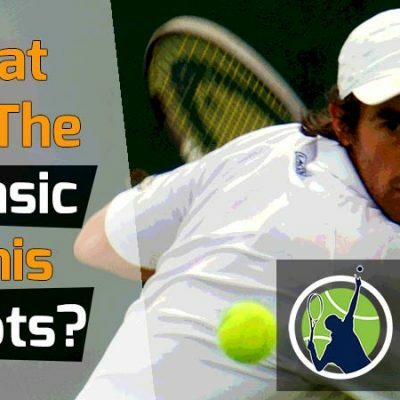 The slice shot return can work for all the strategies mentioned in this post except for lobs and topspin shots we want dipping to the feet of the opponent. You can even hit a very hard return right into the body of the rushing opponent. A very well-struck slice with a tight rotation can be very difficult to volley, as the reverse spin can be hard to handle and most volley players are used to flat or topspin shots, and not slices. The serve and volley player feasts on a weak return game, so we need our returns to be accurately struck for any hope of beating them. If we float our returns or don’t put them in the right place, we can kiss our hopes of winning goodbye. The techniques in this article are proven to work, but improving your return game goes hand-in-hand with it. The first thing we can do to improve our chances is to stand close to the baseline on the return, preferably slightly inside. At most, you should set up 2-3 feet behind the baseline – and only against huge servers. You may have seen Rafael Nadal (one of the greatest players of our age) standing 15 feet behind the baseline on the return and think it a good strategy. But he’s not facing serve and volley players on the pro tour. Or, maybe you feel comfortable standing 6-7 feet behind the baseline to give yourself plenty of time to hit the return. That’s fine against baseline players who glue themselves to the baseline and dare not venture past it. You can float your returns and hit almost anywhere on the court without much retribution. However, all that goes out the window with a skilled volley player rushing the net behind a good serve. Standing far behind the baseline does give you more time to hit the ball. Yes, that much is true. But guess what? It also gives your charging opponent more time to set up for that all-important first volley. By standing 6 feet in back of the baseline on the return, the ball has to travel an extra 12 feet (6 feet to you and 6 feet back) before your opponent hits their first volley. This can allow as much as one second extra for your opposition to move in and set up. And a one-second difference means everything in tennis. It can easily be the reason you win or lose. 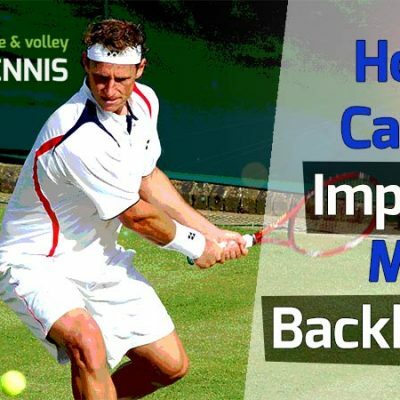 So what are the benefits of returning a serve close to the baseline? By standing close to it, we rob our opposition of time, forcing them to hit a return further from the net than they would like. This keeps them from advancing their position and allows us to create more angles of attack. It also gives us more time to set up for that very important first volley. If you don’t like standing by the baseline on your returns, try it in practice matches. Do it there first, before you play an important match. You’ll soon get used to it and see how crucial it is to beating the serve and volley game. Now that you understand the importance of returning close to the baseline, let’s talk about where that first strike or return is going in terms of location. I like to think we have three clear-cut options for location on the return. It’s important we know them, understand which ones will work best on our opponent and when to use them. I’m going to break down each one. When you return, you’ll want to choose one of these options. Keep in mind this will work against a serve we can control and place. Sometimes that isn’t possible because the serve comes in with too much placement or speed. If you play an opponent at your level, chances are 50-75% of the serves will be controllable – meaning within your reach. Hitting close to the sideline is a great way to diffuse and dismantle the charging serve and volley player. After all, he or she can’t be everywhere. The serve and volley player is banking on a return somewhere near the middle of the court, from where they can hit an effective volley. However, a well-placed shot to the sideline makes it nearly impossible for the opposition to volley. Even if they manage to get a racquet on the ball, and hit it over the net, it will be a weak shot easily put away by you. Now, the side of the court (deuce or ad) will dictate which sideline you will target. On the deuce side (right side), you’ll want to hit down the line, meaning the right side of the court, or the closest sideline to you. On the ad side (left side), the same rule applies – hit to the closest sideline to you, which will be the left side of the court. If you hit to the opposite sideline (from either the deuce or ad side), you run the risk of placing the ball in the middle of the court, where the ball can be easily picked off by your opponent. As we can see, going down the closest sideline is your best chance to end the point quickly. However, with great opportunity comes great danger. The danger in employing this strategy is the difficulty level of hitting to close to the sideline. It takes skill and good timing on the return, but it can be done. Specifically, the danger in going down the line is that we must hit over the high part of the net and our ball can more easily go outside the court. Still, this is a strategy absolutely necessary to beat a good serve and volley player and should be used throughout the match. A final point that is key for the return, but not often discussed, is the height of the shot. When you hit a return, in general, the lower and faster the ball, the better for you. A low shot means that the volleyer needs to volley up to get the ball over the net. This does not allow him or her to drive the ball like on a high shot. By forcing your opponent to volley from under the net, you will have a great chance at hitting the volley return and winning the point. Just by managing to return hard and low, more than half the battle against the serve and volley player is won. When the ball goes low over the net it is also harder to read and makes the degree of difficulty rise for the volleyer. To boot, you also increase your chance of making the opponent miss the volley entirely or hit into a half volley, which is more of a defensive shot. So when playing a good serve and volley player, try to hit hard, keep the shot as low as possible, and away from the volleyer. This is a great rule of thumb to follow. Keeping the ball in play during that first return is essential, so if you start hitting the return to net or out, tone down the power to keep your returns in play. You want to at least make your opponent volley that first ball instead of handing over the point. There is a fine line between going for too much and hitting your spots. This is a constant judgment call in tennis that all players face. Much of the time, this judgment is dictated by how well or not you are hitting on that particular day and how skilled your opponent is. Now, you might think it contrary to common sense to hit directly at your opponent, but there is good reason to do so. By going right at the serve and volley player, you force them to volley from two odd positions that play into your advantage. We’ll go into both in detail below. Either way will work (and it’s advised to mix them up) but a definite factor in this strategy is how hard you hit and how well your opposition can volley. Back in the 80s and early 90s, Ivan Lendl (one of the better men’s professional tennis players from that era) ruled the game with his pelting forehand. If you tried to serve and volley Lendl, he would often go right at you with a 90 mph forehand that discouraged future attempts to the net. While club players can rarely generate such speeds on their forehands, a well-struck return (either forehand or backhand) to the chest of the rushing opposition will definitely not be an easy shot for him or her. In particular, you want to aim for the side of their chest with their dominant arm. The reason for this is because it’s easier to hit a backhand volley in the middle of your body but way more difficult on the forehand side. So for example, if a right-handed player is rushing the net, I’d want to hit a hard return to their right shoulder or chest area. Of course, we’re not looking to actually hit and hurt someone, but the volley player usually understands the risks of coming to net. We need room to hit and so a cannot be afraid to hit a hard shot in the direction of our opponent. This method does work, especially if you can generate pace of 70 mph or more on your shots. If the shot is too slow, most good volley players will adjust in mid-stride and put the ball away. Still, give this method a try and see if it can work for you. Another general rule of thumb in beating a good serve and volley player is to place the ball at their feet. If you can’t go around them or over them, a well-placed ball to the feet of the volleyer will cause all kinds of problems. First, it is difficult to time for the volley player. Second, it will most likely be a defensive shot from below the net. And third, it will impinge their forward movement to the net, briefly stopping them in their tracks. 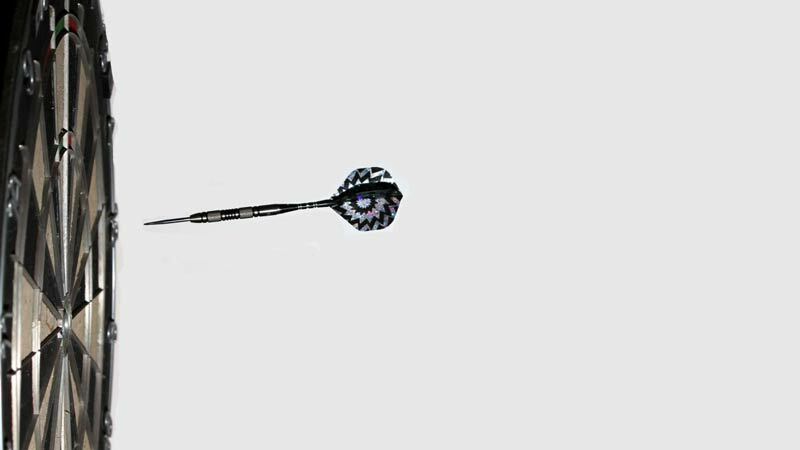 It’s incredibly difficult to hit a half volley on the run, even for the top professional players, much less club players. The great thing for you in using this strategy is that it does not require a huge amount of pace. 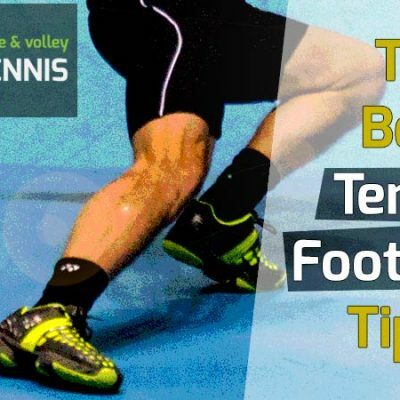 If you hit at a medium speed with some top-spin, the ball should dip right to the feet of the opponent as they reach the service line. Accordingly, the player will either miss the ball entirely, dump it into the net or give you a sitter (easy put away shot) not far from the net. This strategy works at every level on every surface but can be especially effective on Har-Tru and red clay due to the uneven bounces. Try it out. 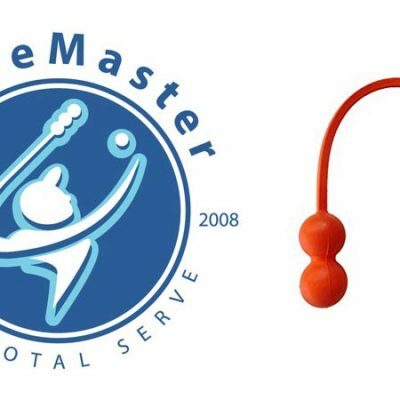 Remember if you hit too deep, the ball will be in perfect position for the volleyer, since we are hitting down the middle of the court. Take something off the ball and add more topspin than you typically do to force the ball to dip. A good lob can be the serve and volley players worst nightmare. This is especially true in sunny and windy conditions or if the player has trouble hitting overheads. The lob is a ball that is hit high to very high in the air, with top-spin, and optimally lands close to the baseline. I’ve beaten countless foe by using the lob. It offsets the opposition’s rhythm and causes them to stop, back-peddle and hit a shot of high difficulty (if placed far back on the court). What’s great for us is that a high skill level is not needed to hit the lob – anyone can do it. But good feel for the ball is essential, as you are lobbing off the return of serve, not a normal groundstroke. There are three caveats with the lob that must be mentioned. First, do not use it all the time. If you become predictable with it, your opponent will adjust by staying back a bit longer and wait for the lob and then smash it. Secondly, you must hit a deep lob (past the service line) in order for it to be effective against good players. A short lob that’s close to the net is put-away city for your opponent. Aim within a few feet of the baseline on every lob you hit. It will take time to develop a great lob, but it’s a fantastic weapon to have in your arsenal, not only off the return but on any shot. Third, you need to hit the ball high enough in the air to make the degree of difficulty high enough for your opponent to miss. Hitting an overhead smash on a ball 50 feet in the air is definitely more challenging than hitting a ball that is 20 feet in the air. However, if you can clearly hit the ball over your opponent and keep the ball in play, than any height lob will do. But on the return, and since your opponent will most often be near the service line when you strike the ball, it will be difficult to hit over them, so hitting high up is your next best option. Hitting a high lob also gives you more time to set up for the smash. After you hit the lob, get to the middle of the court and keep close eye on how your opponent is setting up. You can then anticipate where the smash is headed and hit it back in play. I should also mention that forcing your opponent to hit a lob on their backhand side is often far more effective than the forehand side. You do this by lobbing to the side of their body with the non-hitting arm. Of course, the player can still step to the side and hit a normal overhead smash, but sometimes they can’t and you end up easily winning the point. 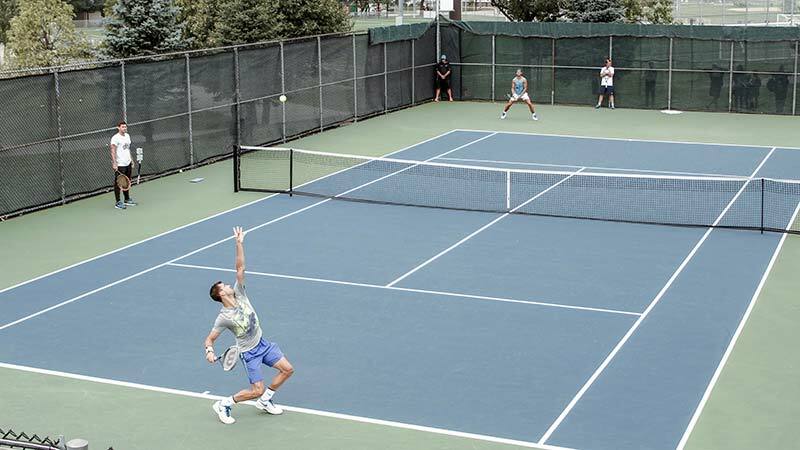 The overhead works particularly well in doubles when you lob the closer net player. Check out more on the lob in this dedicated post on the lob. 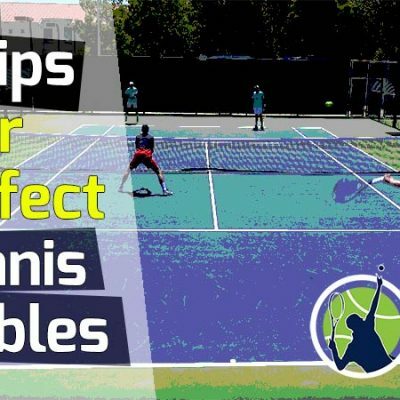 Let’s suppose your opponent serves to you, you make the return, and your opponent than volleys or hits an overhead somewhere on your side of the court. What’s next? Most likely, your opponent will have moved in closer to the net in a more aggressive position to end the point; serve and volley players are taught to keep moving in until near the net and can easily put the ball away on a weak return. Being this is most likely the case, we can still go down-the-line, hit right at them or make a great lob. What is probably taken away from us is the option of hitting at their feet, since they are closed in on the net now. That strategy will usually end badly for us when our opponents are within 6-7 feet of the net or closer. But, what does open up to us is the cross court pass. If you or your opponent does not end the point after one or two volleys, then the point is probably favoring you, the returner. With your opponent at net, all you need is some time to set up for a pass (cross court or down-the-line), a good lob or even a direct hard shot right at their body. Some key points to remember if you find yourself in this part of the point. Keep your cool and do not panic. You have the various options mentioned above to work with. Choose one and be decisive in your play. If you decide to lob, just do it and hit it well. Footwork is key. Too many players stand around and watch their shots, not resetting for the next one. Being that the net player can quickly volley back, you need to be on your toes and ready for the next shot. Great footwork in this situation is essential. Remember, when the player is right at the net, soft shots won’t win the point. You need to hit fast paced shots, well-placed medium paced shots or a good lob. Resist the temptation to just get the ball back softly and hope the opposition will miss at the net. It’s far better for us to control our own fate than leave it in the hands of the volley player. Now that you know what it takes to beat a serve and volley player, you can at least feel confident in having a good game plan going into your next match. Often club players have no idea of how to beat a serve and volley player and hit anywhere only to lose badly. You are now way ahead of the average club player in knowing what to do. All that is needed is to apply this information in the match. Remember, you’re going to lose points, some decisively, but keep coming back to the strategies outlined in this post. Never feel discouraged out there and keep a positive attitude on every point. It sounds hokey, but it truly does work. I simply brush off bad points, knowing that I’m a good player and have a great shot at winning the next one. I have a friend named Leon, who always tells me to “hit the delete button” after a bad shot, and he’s totally right. Knowing how to beat the serve and volley game is not enough to do it on the court. You need to practice your down-the-line shots, your high-pace shots, your top-spin shots and your lob every chance you get. Push the pace in practice and go past your comfort zone. This will help you during the match. I heard that Rafael Nadal misses as much as 50% of his groundstrokes in practice because he’s pushing the the envelope on almost every shot he hits. Instead of avoiding the serve and volley player, seek them out and play against them as much as possible. Doing so will allow you to feel more comfortable hitting under pressure. And through experience you’ll begin to find the right shots to win the point – and ultimately, the match. 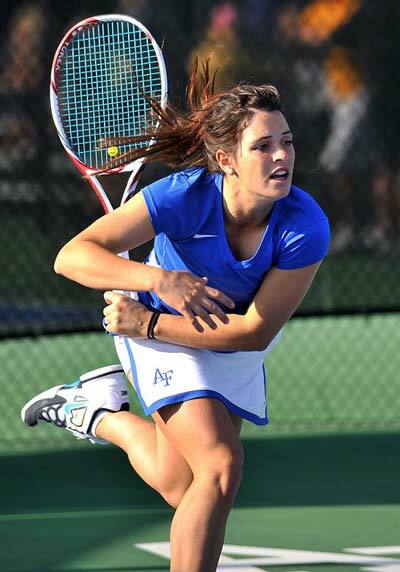 We have a host of articles in this blog to help your tennis game. 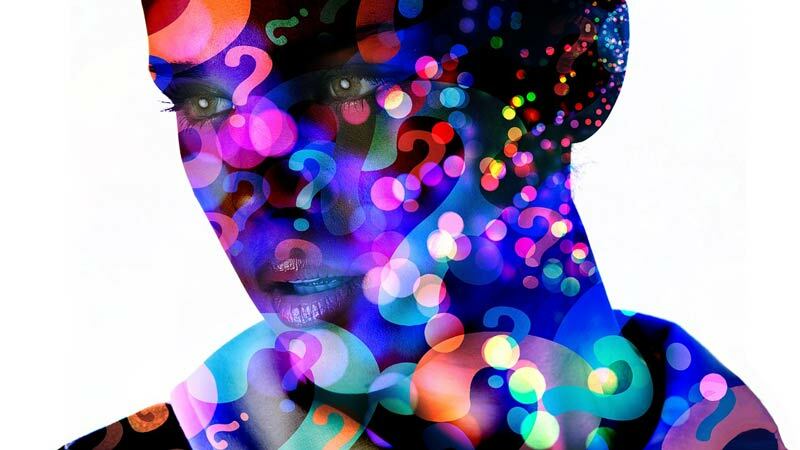 If you have any questions, feel free to drop us a comment and we’ll respond. Additionally, we have dozens of high-quality videos on our youtube channel where you can learn every part of tennis. 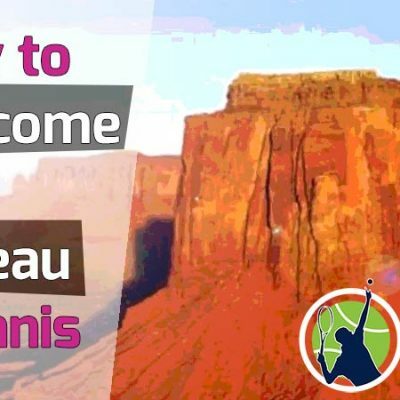 If you can learn to consistently beat the serve and volley game, you’ll soon become one of the most feared and respected players at your club! Fantastic tips to players to play against serve/ volley player.